The city of Chicago is gearing up to file a civil lawsuit against “Empire” actor Jussie Smollett to recover the costs the city police department incurred for investigating his assault claim. Smollett was facing 16 felony charges for filing a false police report but the Cook County State’s Attorney Office under the direction of Kim Foxx decided not to prosecute him. NBC News reported on Foxx’s decision. The decision by Foxx outraged former Chicago Mayor Rahm Emanuel and the Chicago Police Department. Jussie Smollett fails to pay city of Chicago $130,000. Earlier this week, Chicago police protested outside Foxx’s office building and demanded she resigns. Seeking justice, the City of Chicago wanted Smollett to pay the city $130,000 to cover the costs of the investigation but the actor missed the deadline for payment. Now the city is going to seek payment via a civil lawsuit. If successful, the city can recover more than the amount of money originally sought. The story also mentions Smollett’s contract is up for the show “Empire” and it’s possible he will not be brought back if the program is continued. President Trump commented on the Smollett case. 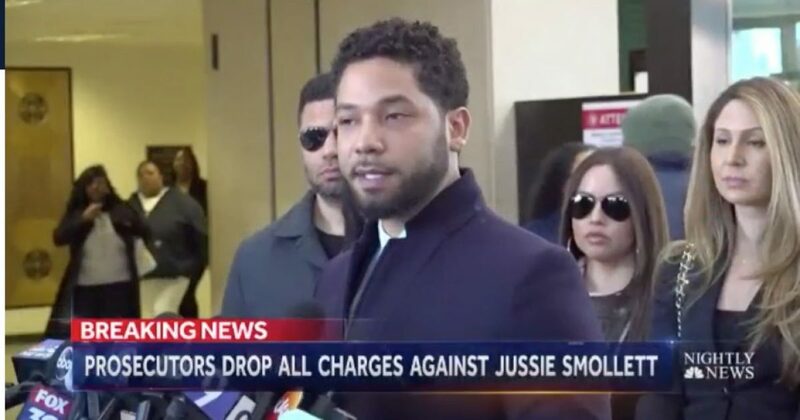 It’s outrageous prosecutors dismissed the case against Smollett and it sends a message that if you are part of the Hollywood elite, you can get special treatment from the justice system.